Chris Bleich received an offer from the Huskers on March 2, 2017. He had been committed to Penn State since April 7, 2016, but he dropped that pledge about a year later on April 21, 2017. On April 6, 2017, NU OL coach Mike Cavanaugh tweeted a message meant for Bleich, saying "Looking to Fuel the Pipeline from the Coal City #570." Bleich lives just outside of Wilkes-Barre, Pennsylvania, which is known as "The Coal City" with a 570 area code. Despite still being committed to the Nittany Lions at the time, Bleich made his first visit to Nebraska when he attended the Huskers' spring game on April 15. 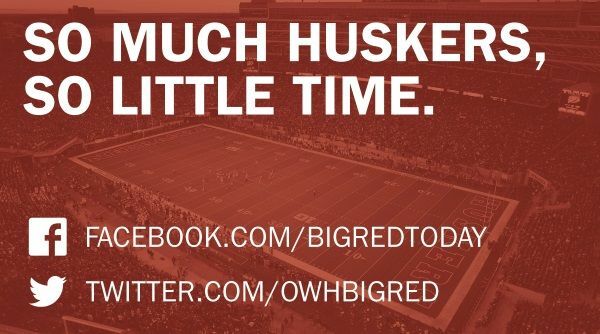 Afterward, he posted a tweet that said: "Nebraska was something else #GBR." He also spoke highly of the visit in interviews with Husker Online and Scout. Bleich spent part of his sophomore year at the IMG Academy in Bradenton, Florida, where he teamed up with Husker lineman Broc Bando. Bleich committed to UCLA on June 19, 2017. But Nebraska is maintaining its pursuit of Bleich. On Aug. 31, Cavanaugh tweeted about Bleich, saying "Love to get an OT Strong as Steel from the #570." Bleich returned to Lincoln on an official visit for the Northwestern game on Nov. 4. Afterward, he tweeted that "Lincoln was a fun time as usual... till next time." He also spoke highly of the visit in interviews with Huskers Illustrated, Scout and Husker Online. Bleich plans to also take official visits to Mississippi State, North Carolina, Pitt and UCLA. He also plans to enroll early at the school of his choice.